The focus during the cold winter months of January and February is primarily on the control of moss, toughening of the grass and maintenance of a dark, lush colour. 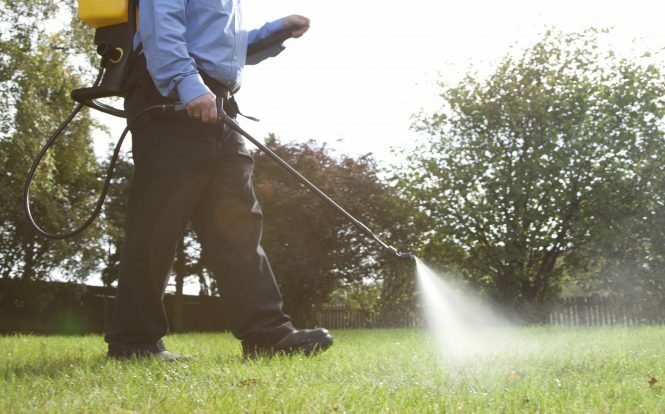 The grass grows very little during this time, so fertiliser is not necessary and any weed control may be ineffective. It is also important to keep any disturbance of the grass to a minimum, so aggressive cultural treatments such as scarification should be avoided in the winter because the grass is unable to recover quickly due to the low light levels and temperatures. Check up of the grass, and tidy. Maintaining a dark green lawn colour. Treatment 6 is applied in January or February. However, the exact time will depend on the local weather conditions and the date of the previous treatments. Treatment 6 can be applied in nearly all weather conditions, as long as the lawn is not flooded or covered with snow. There is no preparation needed before the winter treatment can be applied, although it would be beneficial if all the leaves are removed from the lawn beforehand. If the moss is thick on your lawn, then once it has been turned black it can be raked out or brushed off the lawn. If the weather and ground conditions are favourable a mid-winter aeration treatment can be carried out. Aerating during the winter means that the soil can recover and relax for a couple of months before spring.